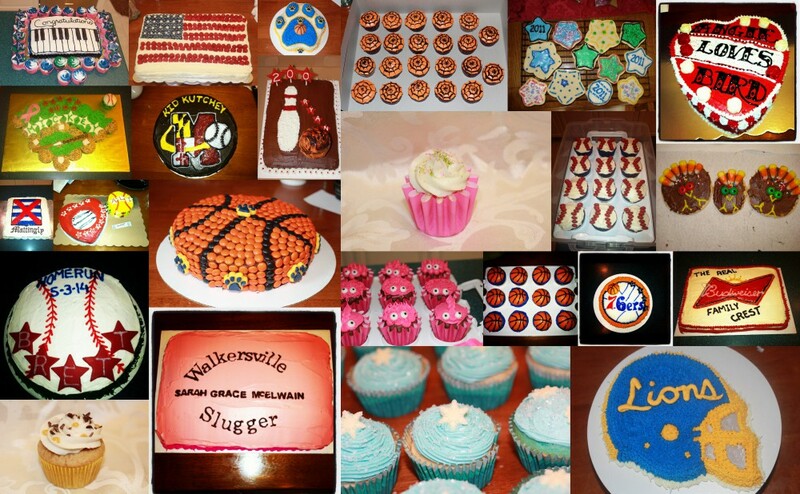 It has been a very exciting few weeks for one of our little league team moms. 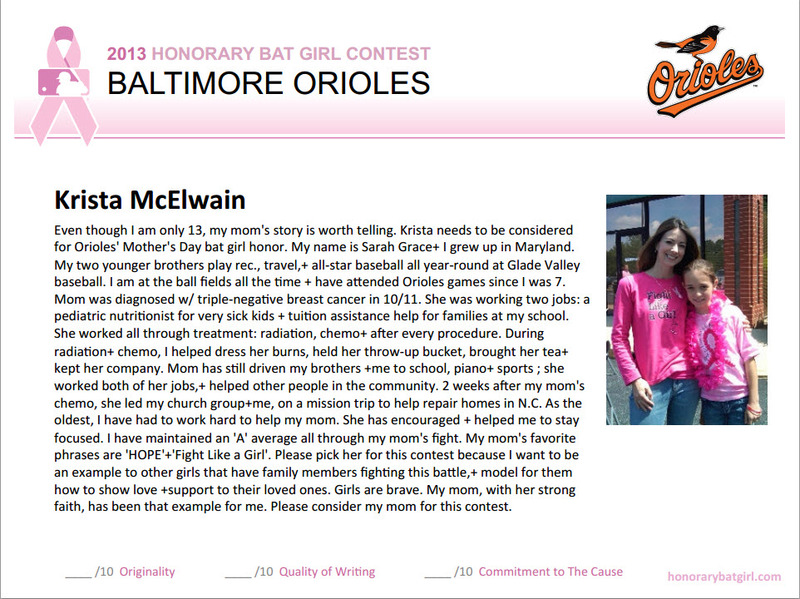 After being nominated by her daughter (which I blogged about previously), Krista won the competition to be the 2013 Baltimore Orioles Honorary Bat Girl! We are so proud of Krista, all the other nominees, survivors, and those currently in the battle. We, of course, are thinking about the angels who gave their all in the fight and are no longer with us. I’m especially proud of Krista’s daughter Sarah Grace, whose winning nomination essay should be an inspiration to any family member or friend of someone in the fight against cancer. 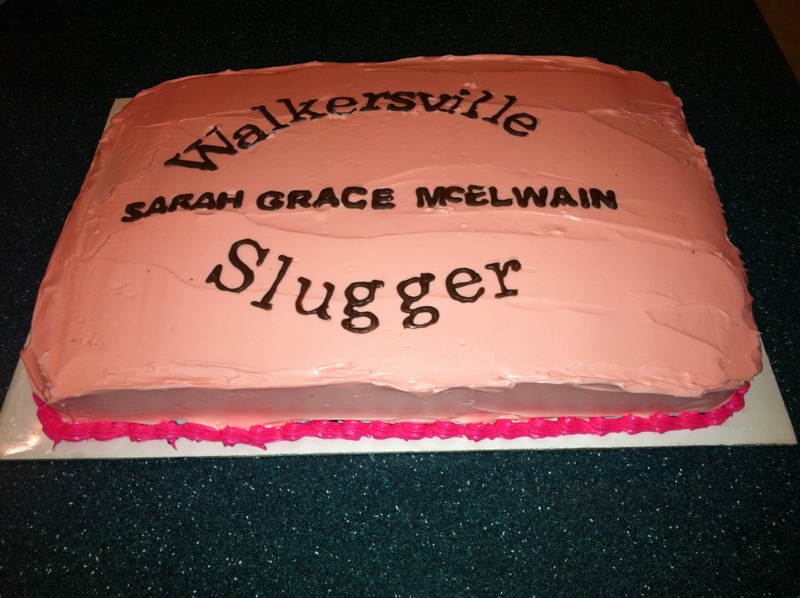 As a way of honoring Sarah Grace, I made her a special cake, along the theme of the special pink bats used on Mother’s Day by Major League Baseball. I made a red velvet cake (her favorite), with cream cheese frosting in light pink all over. I made a bright/hot pink border using the same cream cheese frosting. In the interest of time, I used a box mix and can frosting. For the lettering, I piped melted chocolate candy onto a “logo” I created. Thanks to my designer friend Rebecca Henigin from Henigin Design, who studied the font and told me which fonts I should use for my logo. I printed out the logo, and taped a piece of wax paper over it. Using a piping bag and small tip, I hand-drew the letters on the wax paper, tracing them with the chocolate candy melt. 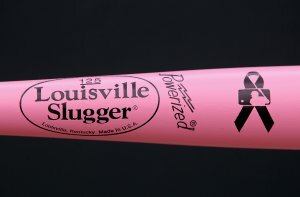 Since the McElwains live in Walkersville, MD, that’s the location I used on the bat. In hindsight, the letters need to be a bit bigger/thicker. Once they harden and you begin to peel them off the wax paper, the thinner parts break very easily. There are a few “Frankenletters”, but hopefully you can’t tell which ones they are! 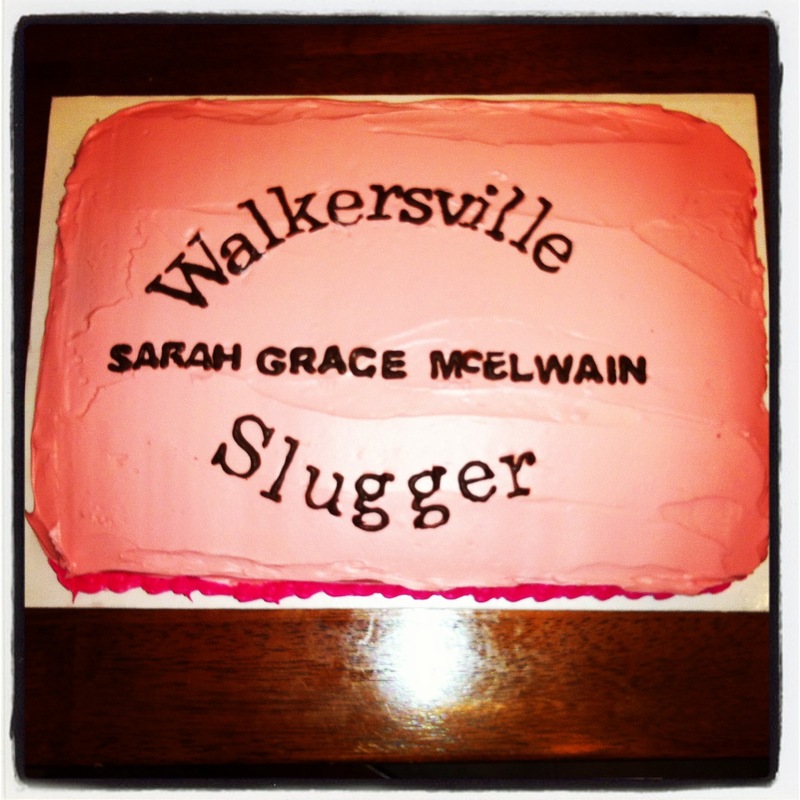 Yes, yes, I know the letters for Walkersville don’t form a symmetrical arch! The hot pink frosting on the side of the cake.